Coaches are invited to submit up to two nominees for the John Izzard Jr. Athleticism, Service and Achievement Award (any gender). This award was created by “friends” of John Izzard Jr. and is supported by Undine Barge Club, to honor John E. Izzard, Jr., an outstanding individual. He is a former Undine Captain, educator [past Teacher of the Year], Hoffman and La Roach pharmaceuticals salesman, Philadelphia probation officer, Access to Rowing Officer (presently), and physical director in one & aquatics director in two YMCAs. John Izzard Jr. has been a member of Undine Barge Club since 1973 and their past Captain and Vice President. His current volunteerism includes being a Steward of the Gold Cup, a USRowing Referee, and Team River Runners. Some of his current and active memberships include the Philadelphia Canoe Club, and the Buck Ridge Ski Club. John Izzard Jr. is the embodiment of the Renaissance man and athlete who is always there to help his fellow man in any way possible. 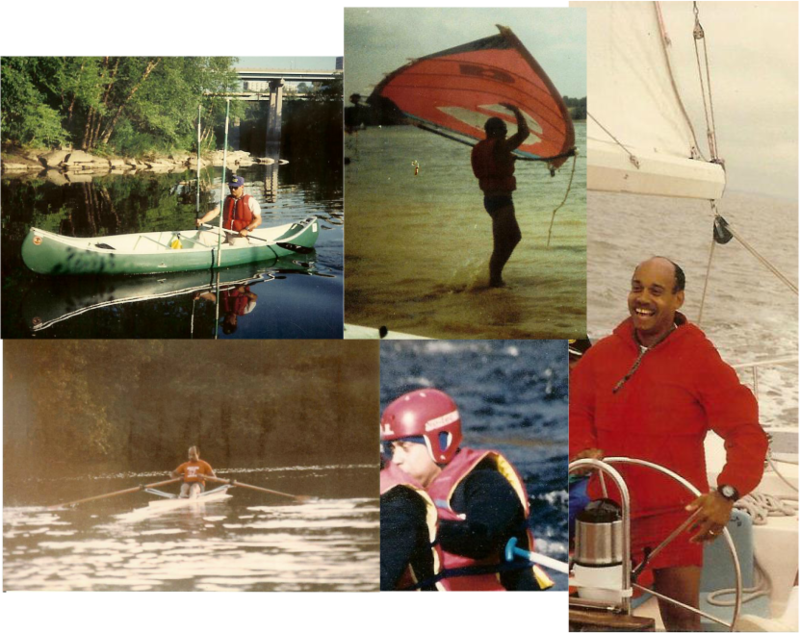 His athleticism includes not only being an avid sculler but a skier, canoer, SCUBA diver, windsurfer, sailor, cyclist, swimmer, track & field athlete, martial artist, paddle boarder, and instructor trainer in many of the aforementioned sports. His service to others includes rescuing and aiding in the rescue of unknown persons in car accidents, helping neighbors whenever they call, assisting fellow Club Captains along Boat House Row, as well as rowers in general along the row, colleagues at work, friends, and family. Academically, John Izzard Jr. always strove for excellence having attained a Masters degree from Penn State. He always emphasizes the importance of remembering what you learn and using it in your life. We invite you to submit up to two recommendations (any gender) of rowing juniors who embody John’s similar service, athleticism, and achievement characteristics. Noteworthy is the fact that John's son, reflected his father's athleticism and service to others, and won the Philadelphia Scholastic Rowing Championship in the single. There are two forms: an Athlete Application Form, to be submitted by those the coach/teacher deems worthy of consideration and a Coach/Teacher Recommendation Form. Coaches/Teachers should have athletes complete their applications (including an essay, 5 short answer responses, coach/teacher & athlete photos, letter of recommendation, and a transcript), and submit them with your recommendation to The John Izzard, Jr. Athleticism, Service & Achievement Award Committee, postmarked by June 30, 2018. All will be notified by September 1, 2018 as to their status. The winner and coach/teacher will be invited to Undine Barge Club’s Captain’s dinner for the public announcement and receipt of his/her award letter. A plaque will be given to the athlete’s coach/teacher to be displayed at the athlete’s school (the plaque plate will have both names). The athlete will receive his/her personal award trophy at the Schuylkill Navy’s Award Dinner in 2019 among his rowing peers. We greatly appreciate you taking the time to support the "friends" of John Izzard Jr. as they use this award to express their appreciation for a special and impactful athlete, man of service, and achievement. It is important for young athlete men/women of service to be inspired and encouraged to not only value athleticism but to make certain they provide impactful service to their fellow man and strive for academic excellence. If you have questions, send an email to the John Izzard Athleticism, Service & Achievement Award Committee, Committee@JohnIzzardAward.com or call 610.994.0514.